This baby bump sure makes getting dressed difficult some days. Other days, I remember about the piko tops in my closet and it's warm enough to wear these shorts. Easy peasy. 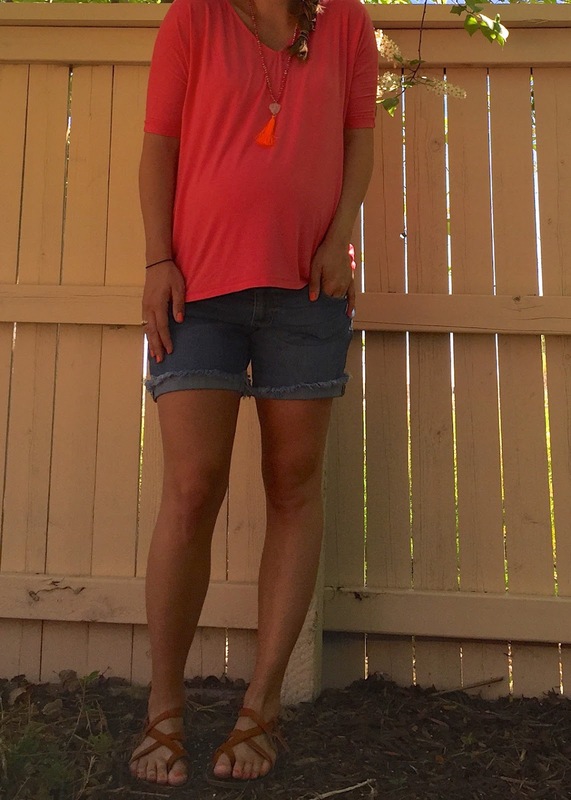 I sized up in the CAbi boyfriend short so that I wouldn't have to wear a belly band with them. They are SO comfortable and I know they'll be perfect postpartum because they won't be too tight on my hips. 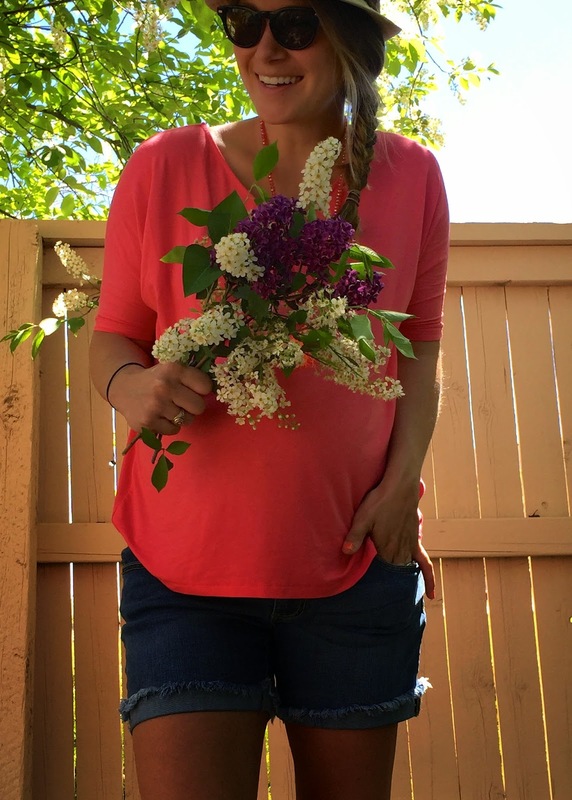 Finding the right shorts for a twenty-something (or thirty or forty or fifty-something) can be difficult, especially if you're a mom and especccccially if you're pregnant. These are such a flattering length and they can be left cuffed or uncuffed for a little more length. Some general guidelines are to not go shorter than your fingertips when your arms are by your side and make sure they aren't skin tight. I like mine to be able to be pulled an inch or two away from my thighs. If you want to order these shorts, let me know below and I can get you in touch with my mother-in-law who sells CAbi or you can click here (scroll to the bottom) to shop the collection. You're so cute!! I hope I look this cute when I'm pregnant. You look adorable. I love those shorts. 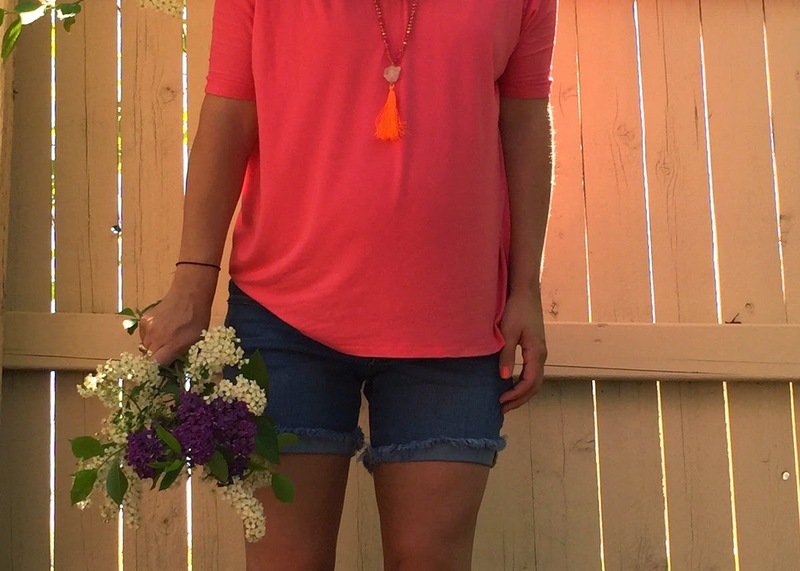 And that orange and pink necklace adds a cheerful touch to the whole outfit. This outfit is a perfect fit for summers. It looks so comfortable. Love the color of your shirt. These pictures are lovely. You look gorgeous. Thank you for sharing.